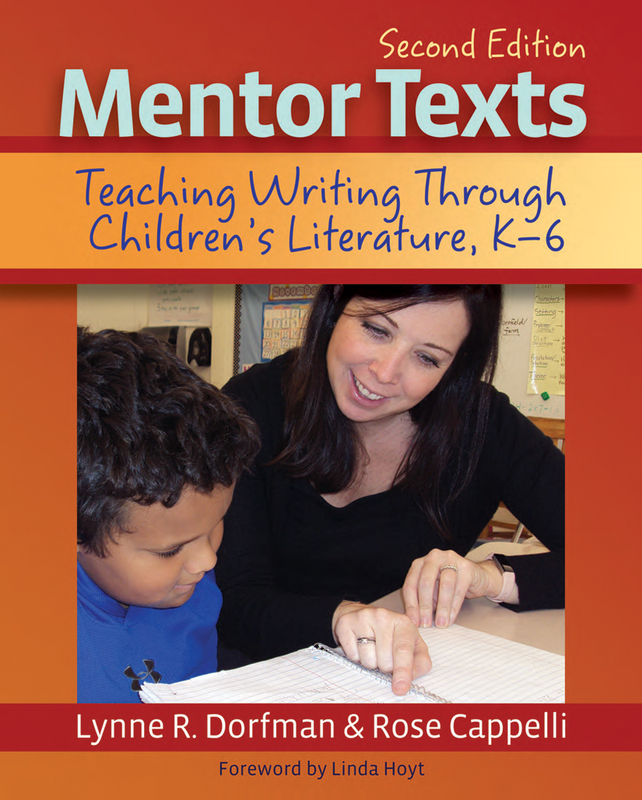 It’s been a decade since Lynne Dorfman and Rose Cappelli wrote the first edition of Mentor Texts and helped teachers across the country make the most of high-quality children's literature in their writing instruction. In the second edition of this important book, Lynne and Rose show teachers how to help students become confident, accomplished writers by using literature as their foundation. The second edition includes brand-new “Your Turn Lessons,” built around the gradual release of responsibility model, offering suggestions for demonstrations and shared or guided writing. Reflection is emphasized as a necessary component of understanding why mentor authors chose certain strategies, literary devices, sentence structures, and words. Lynne and Rose offer new children’s book titles in each chapter and in a carefully curated and annotated "Treasure Chest." At the end of each chapter, a “Think About It—Talk About It—Write About It” section invites reflection and conversation with colleagues. The book is organized around the characteristics of good writing—focus, content, organization, style, and conventions. Rose and Lynne write in a friendly and conversational style, employing numerous anecdotes to help teachers visualize the process, and offer strategies that can be immediately implemented in the classroom. This practical resource demonstrates the power of learning to read like writers. Mentor Texts is like having a literature expert and master teacher at your side all year long. Enjoy it, mark it up, make it your friend. You and your students will be energized and motivated as you savor richly constructed mentor texts and connect them to amazing writing opportunities. Rose comes from a family of musicians and teachers, both of which have greatly influenced her life. A volunteer job in high school led her to pursue work with hearing- and language-impaired children. Mentor Texts will raise your awareness of the choices and moves authors make, and invite purposeful planning and revision that will bring out the best in any piece of writing.… A must-have book for every writing teacher! Lynne and Rose have again given us a treasure. Not only do they provide you with new titles to add to your mentor text library, they’ll show you new ways to use these texts with your young writers.